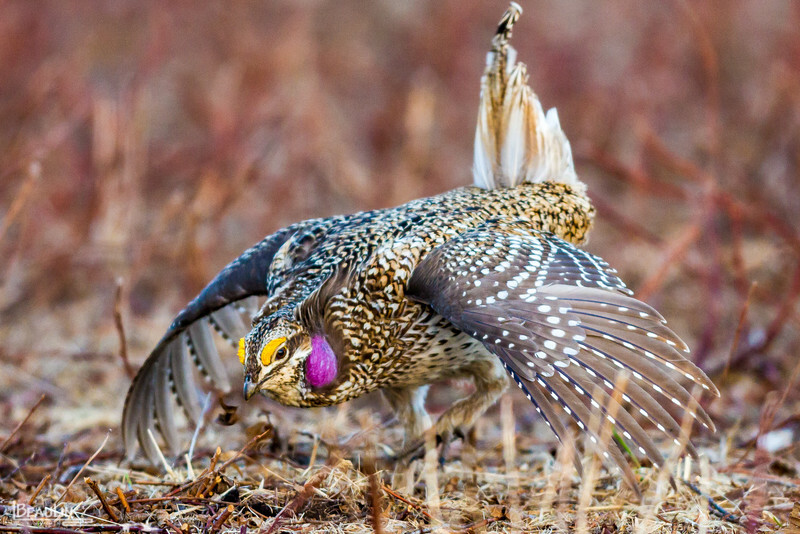 Male sharp-tailed grouse dancing on a lek shortly after sunrise. Gun Lake WMA, Aitkin County, Minnesota. Also known as firebirds due to the fire adapted habitats they prefer, this species status is precarious in the central and east-central parts of the state. Conservation of sharptails requires intensive protection and management efforts by wildlife agencies and non-profit conservation groups. Along with other prairie grouse, they are quite photogenic and are viewed from blinds throughout much of their range. Late-March through late-April are the best periods to watch & photograph these charasmatic, energizer-bunny like representatives of prairie grouse.